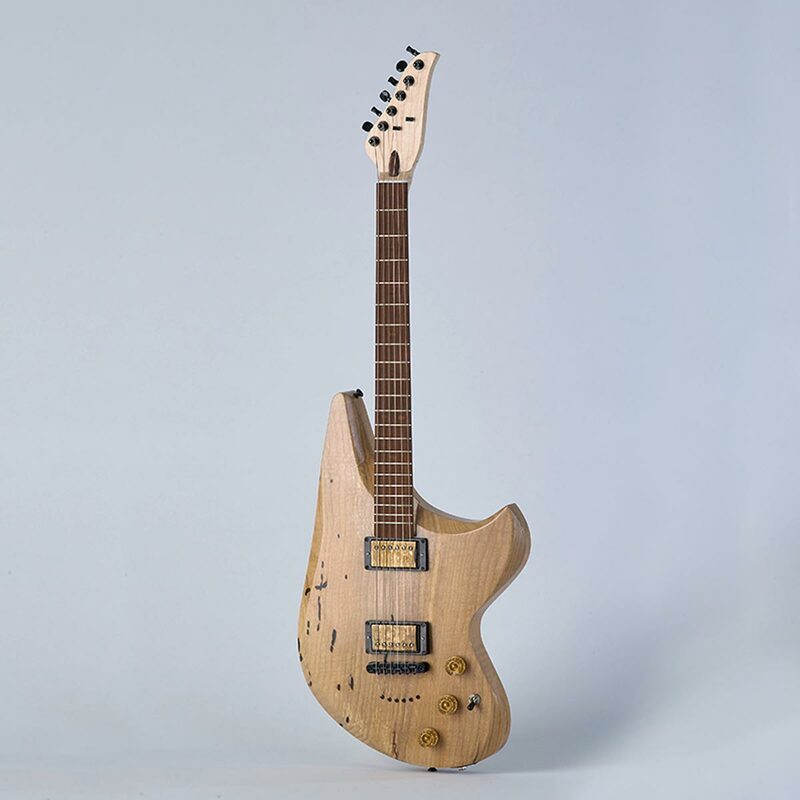 After completing my first electric guitar, I realized that there was so much more I could learn and ways I could push myself further in the process and design. 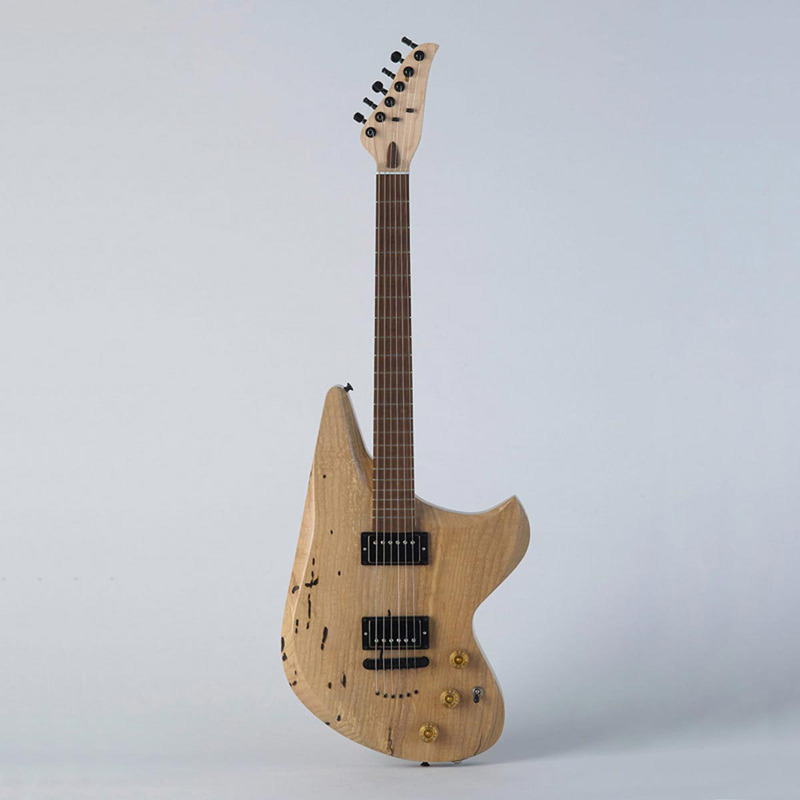 I audited this class and built a second guitar with two primary goals for myself: expand my knowledge of SolidWorks and create a more ergonomic design. The shapes and contours take the player into consideration, providing a guitar that is both comfortable and functional. I wanted to make sure the guitar would be comfortable to hold and play whether sitting or standing. While playing, the knobs are easy to reach and adjust. Additionally, I wound both humbucker pickups (which was quite the exercise in both patience and persistence).